The federal government – and Florida state government – classifies marijuana as a Schedule I narcotic. That means it’s considered highly addictive and worthy of the highest degree of regulation because it has no accepted medical purpose. But there are many who disagree with this assessment. In fact, at least 24 states and Washington D.C. have legalized marijuana for medicinal purposes since 1999. Florida came close to being one of those in 2014, when a medical marijuana initiative was narrowly defeated by a margin of just 2 percent of voters. A majority of 60 percent was needed for a constitutional amendment. 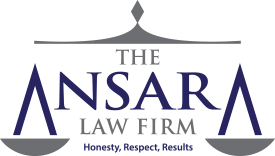 At The Ansara Law Firm, our Broward County marijuana lawyers recognize that until Florida passes a law allowing the drug to be used as medicine, those who grow it, process it, buy it, sell it, or use it are going to face legal consequences. This is true here even though a growing number of states are not only decriminalizing possession, but allowing cultivation, sale and possession even for recreational purposes. Many users report being able to reduce intake of powerful pharmaceuticals dramatically by supplementing with cannabis or a derivative. These are not youthful derelicts or rabble-rousers. These are parents, grandparents, respectable citizens and those simply seeking relief. States vary greatly with regard to the criteria and implementation of medical marijuana programs. Advocates in Florida are expected to propose another medical marijuana bill in upcoming legislative sessions. It’s probable, given the slim margin by which the 2014 measure was defeated and the swelling support for the movement, that we’ll see a law change in Florida. In fact, the Florida Department of Health has announced it expects to soon provide sick patients access to a strain of non-euphoric cannabis for limited medical purposes after a judge dismissed a final challenge to the Compassionate Use of low-THC cannabis, per F.S. 381.986, approved in 2014. The law would grant a total of five licenses statewide to distribute marijuana on a limited, highly-regulated basis to those who have medical clearance from a physician. However at this point, absent explicit approval under this program or a change in the law, anyone with involvement in the underground marijuana trade is going to face harsh penalties and must seek an experienced criminal defense lawyer. Further, so long as selling pot remains a federal crime, even a state-approved law may not protect those involved entirely, as we’ve seen in places like California. There, federal authorities have relentlessly gone after medical marijuana dispensary operations with both criminal charges and civil forfeiture actions. These campaigns eased somewhat following a 2009 Department of Justice memo instructing federal prosecutors to avoid targeting marijuana operations complying with state law. However, another DOJ memo two years later specified that even state-legal operations could face federal intervention if they are too large. Entrepreneurs are increasingly investing in legal marijuana across the country. But even in states where it’s legal, there is a risk of running afoul not just of drug laws, but also of federal money laundering statutes. That’s why many operations still deal in cash, unable to secure a bank account from financial institutions fearing federal reprisal. Florida law defines cultivation of cannabis as the manufacture or growth of the plant for any purpose. That means it does not matter if you have cancer or AIDS or are just trying to ease the seizures of your sick child. Per F.S. 893.13(1)(a), if you are caught growing marijuana, you will be facing a third-degree felony, which carries a penalty of up to five years in prison. Even first-time offenders could be sentenced to prison, a $5,000 fine and drug offender probation. In some cases, per F.S. 893.1351, cultivation or manufacture of marijuana could be classified as a second-degree felony, punishable by up to 15 years in prison. This would apply when defendant allegedly possessed or controlled more than 25 cannabis plants. Further, if a person under the age of 18 is found either present in the location or residing in the place where the plants are grown, the crime is upped to a first-degree felony, punishable by up to 30 years in prison. Still, there may be hope on the horizon. Take the 2015 case of a Broward County man accused of growing marijuana at his home. He didn’t deny the allegations. In fact, at trial, he even admitted to smoking a marijuana cigarette hours before giving his testimony. He grew it, he said, for personal medicinal purposes: To treat the anorexia he’d struggled with since he was a child. Although Florida does not allow growth of marijuana for medical purposes, jurors acquitted him. The judge was careful to note the finding did not change Florida law. Those accused of marijuana-related offenses in South Florida should seek representation from a trusted, established legal team.